Is a book the same book-or a reader the same reader-the second time around? The seventeen authors in this witty and poignant collection of essays all agree on the answer: Never. These essays are not conventional literary criticism; they are about relationships. The relationship between reader and book is a powerful one, and as these writers attest, it evolves over time. 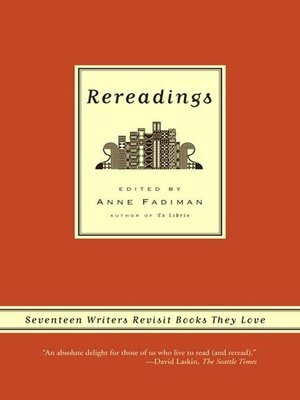 Rereadings reveals at least as much about the reader as about the book: each is a miniature memoir that focuses on that most interesting of topics, the protean nature of love. And as every bibliophile knows, no love is more life-changing than the love of a book.